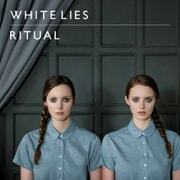 There's so much good new music coming down the pike we're splitting our 2011 Preview into two columns. Next week — a column just for LGBT next-big-things. First up: some sassy sisters, electric grooves for everything from dancing to moping and some quiet tunes for moments of reflection. 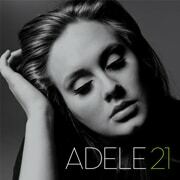 Adele — 21 (February 22): This superstar was chasing pavements on her debut 19, but at 21 — both her age and the title of her sophomore, Rick Rubin-produced release — she’s "Rolling In the Deep," a title that could reference both her soul and her limitless talent. Anna Calvi — Anna Calvi (March 1): This English thrush counts Nina Simone, Ravel and Debussy among her influences, but throw in the vocal prowess of Florence Welch and the intensity of PJ Harvey and now we're talking. Eliza Doolittle — Eliza Doolittle (Spring TBA): Eliza Sophie Caird is veddy British — what’s more English than naming yourself after My Fair Lady’s archetypal lead? But she travels well. Check out her Lily Allen-esque singles "Skinny Genes" and "Pack Up" from her U.S. debut, both big U.K. hits in 2010. Also: Corinne Bailey Rae — The Love E.P., Olivia Newton-John and Friends — A Celebration in Song (January 25); Claudia Brücken — Combined – The Best Of (import, February 7); PJ Harvey — Let England Shake (February 15); Florence + The Machine — Between Two Lungs, Lauren Pritchard — Wasted in Jackson (CD: February 22); Lykke Li — Wounded Rhymes, Linda Eder — Now (March 1); Avril Lavigne — Goodbye Lullaby (March 8); Oh Land — Oh Land (March 15; stream the Jonathan Peters mix of "Sun of a Gun" in player); Lenka — Two (April 19); Lady Gaga — Born This Way (May 23). Cut/Copy — Zonoscope (February 8): Australia synth-pop quartet follow-up the eerie dance pop of In Ghost Colours with the full-on radio hooks of Zonoscope, featuring the single "Take Me Over" (free download of a remix in player). Jessie J — Who You Are (Spring TBA): The buzz is deafening for this English performer, already the recipient of the Critics Choice award at the BRIT Awards 2011. Is she all that? Single "Do It Like a Dude" out-snarks Ke$ha, and "Price Tag" is a slice of Adele-like soul. So, yeah, she just might be. Dom — Sun Bronzed Greek God (February 15) Like the title of their E.P., this Worcester, MA quartet's fuzzed-out surf riffs sound like they've been sun-baked for days. And with their singer’s androgynous voice, they also recall Silversun Pickups riding the wave of '90s alt-poppers The Primitives. 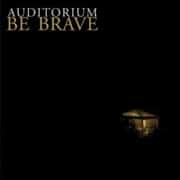 Auditorium — Be Brave (January 18): Auditorium is one Spencer Berger, who grew up on the stage of the Met and now sings acoustic tunes that frame his quivering, unearthly voice. Be Brave may be stripped back and simple, but it’s got variety to spare from the glammy "Girls Will Love Your Lips" (free download in player) to the folksy dirge of "New York Sky." Birdsong At Morning — Annals of My Glass House (February 1): These Massachusetts professionals — a professor, a business VP and a new media consultant — make gorgeous acoustic music. 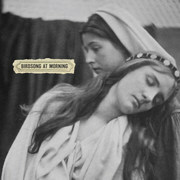 This collection of four E.P.s from 2009 and 2010 feature lovelorn originals ("Those Beautiful Words") and inspired covers (Blondie's "Dreaming" is a highlight). Also: James Blunt — Some Kind of Trouble (January 18); Iron & Wine — Kiss Each Other Clean (January 25); Noah and the Whale — Last Night On Earth; Heidecker & Wood — Starting From Nowhere (March 15). Rufus Wainwright and Jake Shears are the subjects of photographer Tim Hailand's two new A Day in the Life… books, due out next month. Hailand spent a day photographing each of them, from morning until night, including live performances. Jake's book has an intro by Elton John and an afterword by Kylie Minogue, and a portion of the proceeds will benefit The Elton John AIDS Foundation; Rufus's book has an afterword by Cherry Vanilla, and a portion of the proceeds will benefit The Kate McGarrigle Fund. Shears and Wainwright each wrote the text that accompanies the photos in their books. Orchestral Manouevres in the Dark announced North American tour dates to support their History of Modern comeback album, starting March 5 in Toronto. Penguin Prison (see video at bottom) will be accompanying sample-meister Girl Talk on tour this Spring. Tour schedule here. Gossip's Beth Ditto has released a 4-track digital EP (also on limited edition vinyl) produced by Simian Mobile Disco, with whom she collaborated on 2009's fantastic "Cruel Intentions." Janet Jackson's new greatest hits tour, Number Ones, Up Close and Personal, begins March 7 in Chicago. She also publishes a diet and exercise book called True You on February 8. 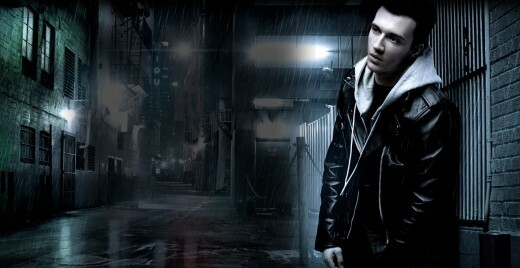 Frankmusik is giving away a new 4-track digital EP, featuring "Our Discovery," a tribute to Daft Punk. Kylie tours America this spring. Hercules & Love Affair — "My House"
DJ Andy Butler’s NY house music project follows up Hercules' sparkling debut with this teaser single from their forthcoming Blue Songs release. And, honey, this dance jam's so hot it could melt the snow right off your L.E.S. tenement steps. Penguin Prison — "Golden Train"
The video's your standard performance clip with manipulated footage (slo-mo, pixilation, etc. ), but Chris Glover aka Penguin Prison, with the help of Holy Ghost's Alex Frankel, is one funky white boy. Discodeine feat. Jarvis Cocker — "Synchronize"
Pulp’s unkempt frontman lends steely vocals to a bouncy dance track from Discodeine’s French DJ-producers Pilooski and Pentile. Note for the squeamish — the close-up of one lover giving another a homemade tattoo is, well, graphic. Wolf Gang — "Lions in Cages"
A gloomy, autumnal clip accompanies the dark, roiling dance-pop of England’s Max McElligott aka Wolf Gang. Debut Suego Faults is due mid-2011.